After a long weekend of heavy drinking in the sun and light sleeping for only a few hours a night, I knew my immune system was down. I wasn't surprised when I woke up Monday morning with that familiar tingle. 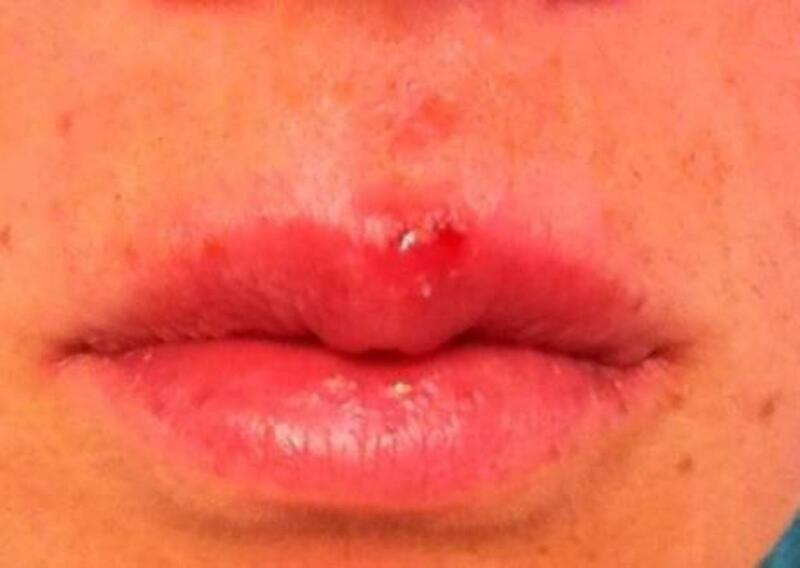 I decided to share my story, with photos, so you can see for yourself how quickly my method works to cure cold sores. 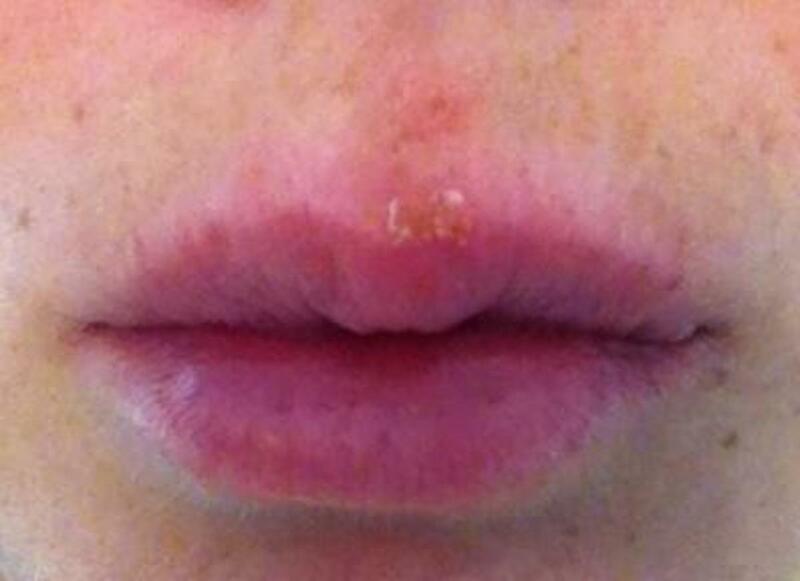 View my more thorough descriptions and alternate cures on my cold sore hub. I woke up just feeling a slight tingle, and barely perceptible swelling. 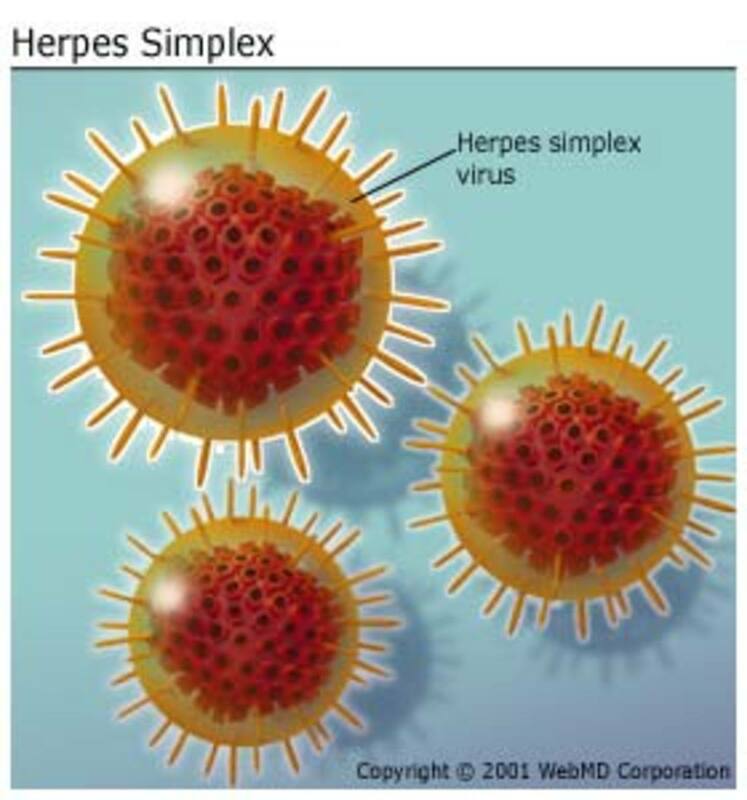 As you can see in the picture, my lip looked fine, and the virus was still under the skin. I slathered some L-Lysine ointment on my lip, threw the container in my purse, and left for work. 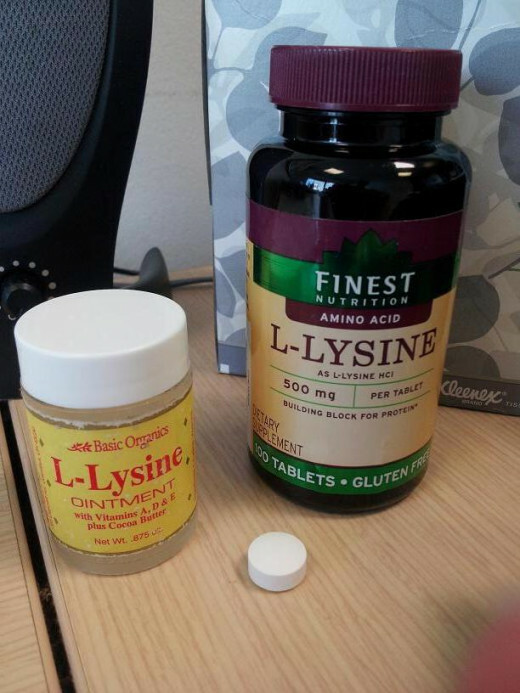 As soon as I got to work, I pulled out the bottle of 500mg L-Lysine tablets I always keep in my desk drawer, for situations like this. I rationed out enough to take one every hour on the hour, and left them out on my desk so I wouldn't forget. In reality, 4 tablets throughout the day would have been fine, and my body wasn't absorbing most of the vitamin I was ingesting, but I like to get as much as possible to be safe. For lunch I ate a tuna sandwich with a hard-boiled egg, both foods that are high in l-lysine. I also had some mixed greens on the side, for the additional vitamins to boost my immune system. 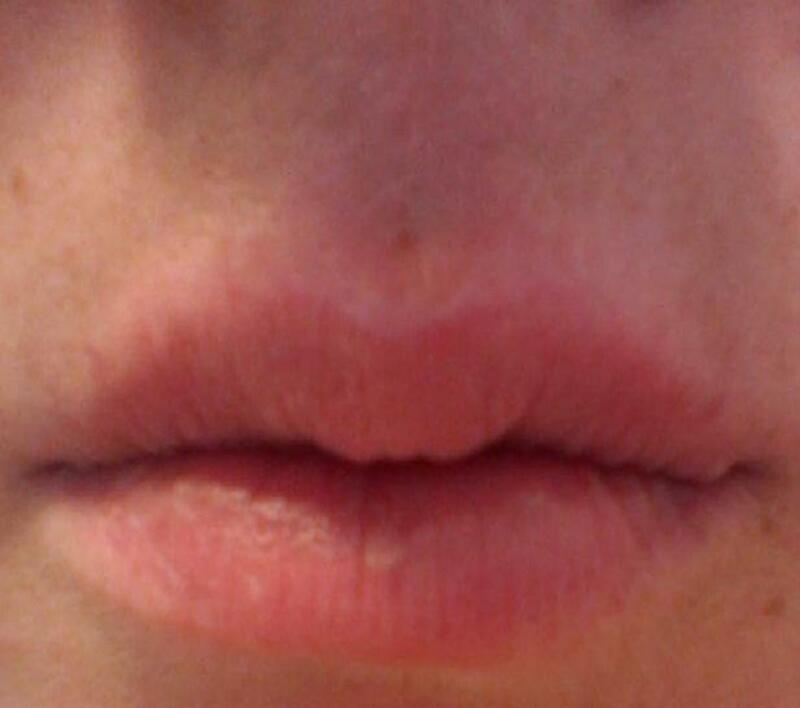 I kept my lip almost permanently slathered in the Basic Organics L-Lysine ointment I was using. 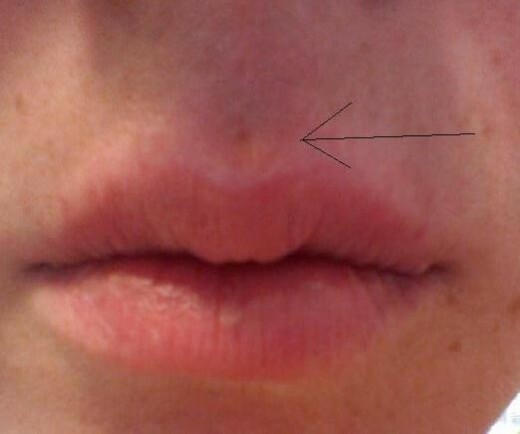 By late afternoon, a tiny bit of redness and swelling was beginning to show on my upper lip, but I felt my efforts were really working to contain the sore and keep it small. When I got home, I made myself a dinner of lean chicken, cheese, and veggies- all foods that are great for battling a sore. (I avoided bread and pasta, caffeine, and chocolate.) Throughout the night I reapplied L-Lysine ointment once or twice. I stopped taking tablets, as I'd taken enough already during the day. Before going to bed, I checked the mirror and noticed 3 small blisters had appeared. Two were clustered above my lip, and one larger one was at the very top of my lip. 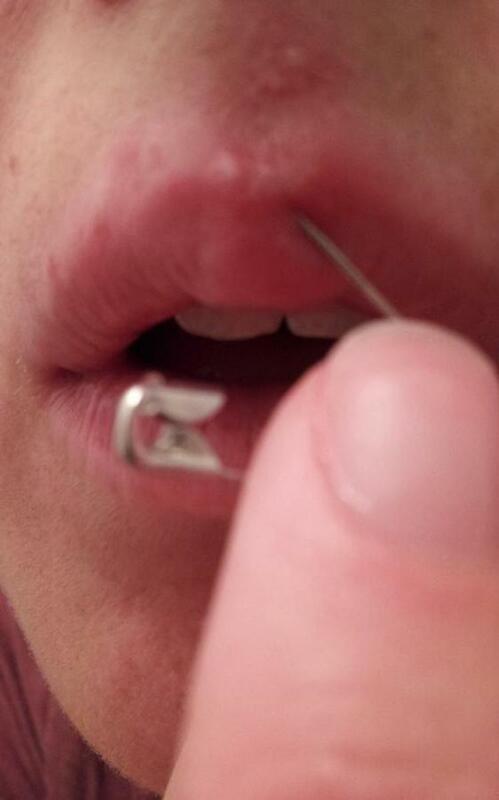 As described in my cold sore hub, I disinfected the point of a safety pin, and popped each blister. I dabbed up the white pus that came out with a clean paper towel, and immediately washed my hands and face with soap and water. The liquid that fills the blisters is the most contagious part of a cold sore, so make sure to disinfect after popping them. Next, I dipped a Q-Tip in hydrogen peroxide. 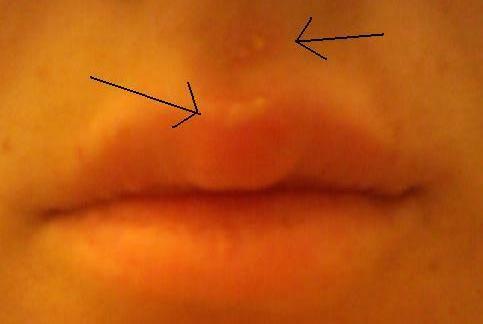 Because it is damaging to the healthy skin around the cold sore, you want to apply it very carefully, only to the sore. I've found a Q-Tip is the best way to apply it directly; using cotton balls or a tissue is generally less exact. I held the soaked Q-Tip over the sores for about a minute, letting them soak up the liquid. The sores will appear bright white after you've popped them and dabbed them with hydorgen peroxide, but that will go away in a few minutes. My final step before going to bed was to apply some more L-Lysine ointment. Because the sores had appeared, my main purpose in the regimen for the night was to dry out the blisters. Popping them and draining them had been the first step, and I used hydrogen peroxide as the second. 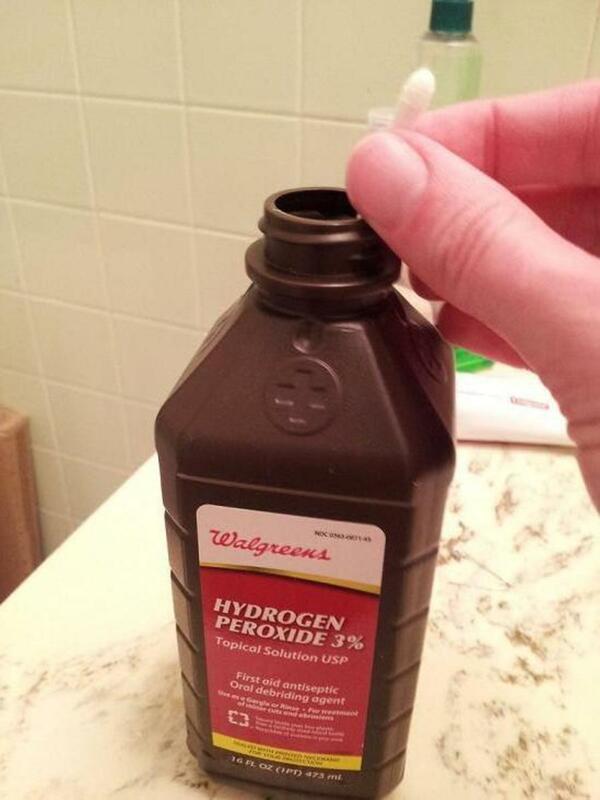 I prefer hydrogen peroxide because it is safest for the skin compared to other options, and has the added benefit of disinfecting the now-open wound. Other options that can be used are a sliced clove of garlic or nail polish with acetone. 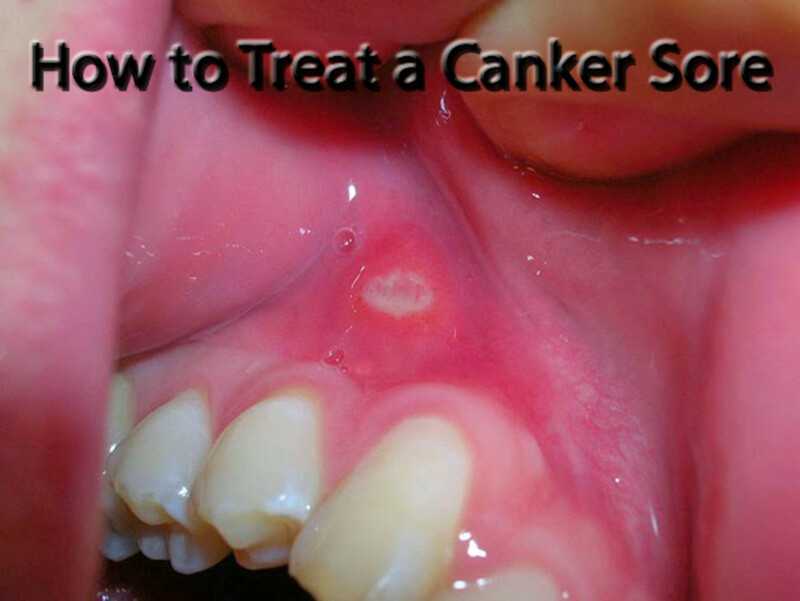 Both can be extremely painful, and damage the healthy surrounding skin, but they will definitely dry that sucker out. By the time I woke up on Tuesday, the already-small sores had faded and reduced in size. Because they were so faded, I've pointed them out with arrows in the photo. I repeated the process of popping the blisters with a clean needle, washing them, and soaking them with hydrogen peroxide before leaving for work. 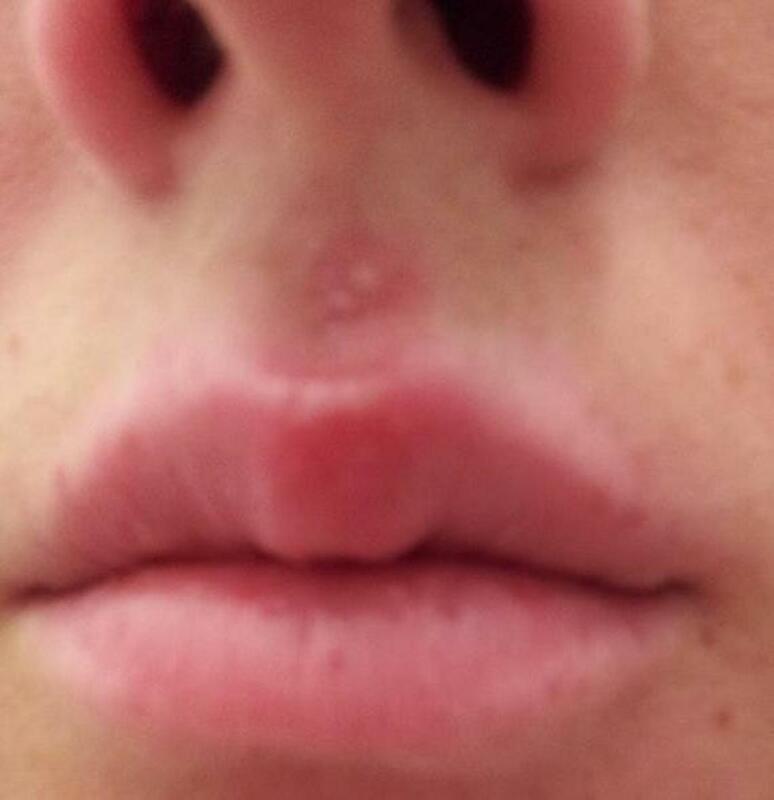 On day two of the cold sore, the blisters had already formed, been popped, and were beginning to dry out. 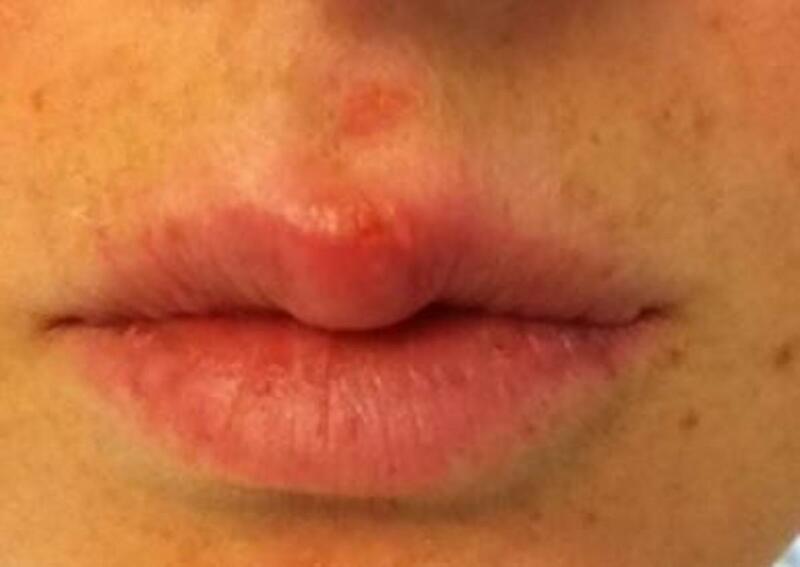 To help with the drying process I began using Campho-Phenique for Cold Sores. It does a great job of both numbing the pain and drying the blister. I reapplied it multiple times throughout the day, every few hours when I began to feel the pain again. I continued taking L-Lysine tablets, although I probably only took 3-4 throughout the day. My lunch once again consisted of fish, eggs, and dairy, all of which have high l-lysine content. I used the L-Lysine ointment sparingly, because the majority of the time I was using the Campho-Phenique, but did apply the ointment to my surrounding lip and skin areas. Using so many products with drying actions will, obviously, dry out your skin, and the vasoline base of the Basic Organics ointment will help moisten the skin while continuing to heal it with its L-Lysine content. As you can see in the photo, by the end of the afternoon the blister had dried out and fallen off, and all that was left was a red spot. By the morning of Day 3, the sores above my lip were completely faded, and all that was left was some scabbing from the sore on my lip. I kept it moist all day with a few applications of Neosporin, and used L-Lysine ointment to keep my lips from getting chapped. At this point, all that's left is waiting for the scab to fall off. Keeping it moisturized and clean will aid the most in this process. There are mixed reviews in the scientific community about Vitamin E oil- some say it speeds healing, and some say it actually hinders it. I have tried it in the past and never found it to help, so I stick with my simple L-Lysine ointment. Morning of day 4, and all that's left is a tiny red blemish! I'll keep putting L-Lysine ointment on it until the red mark is completely gone, but I'd say that sucker's pretty much gone! Did This Hub Help You? 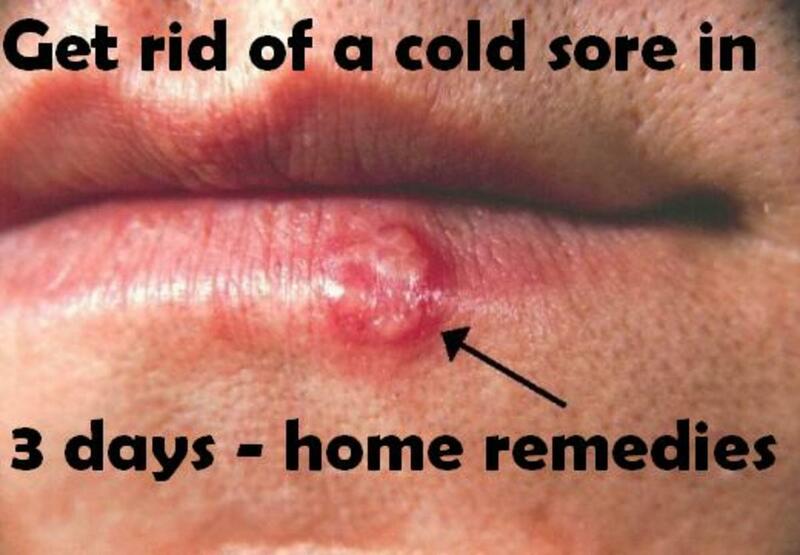 I have also suffered from cold sores as long as I can remember. A lot of my grade school pictures show that fat lip with a cold sore on it. In drivers Ed behind the wheel I again had a cold sore and my instructor told me about Campho Phenique. I used it for years following to dry up cold sores. It does help. Later I was told to take L Lysine pills that is what the body is lacking. So as long as I took them or if I started after feeling a cold sore coming it helped that they didn't get to bad. 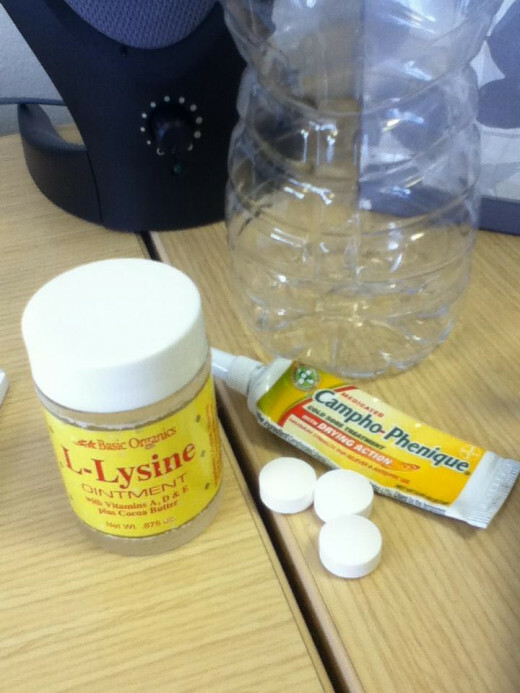 Then someone told me as soon as you feel a cold sore coming start taking LLysine tablets an lots of them. So now at that first feeling of a cold sore I don't only take 1 but 2-3 tablets at a time and I do this 4 to 6 times that first day. It literally dries up the cold sore before they even have a chance to stick their ungly head out. Or if I'm to slow at taking it an they do become a sore. It dries up in a day at the most 2.